This bronze statue is one of last and finest masterpieces of Japan’s great sculptor, the late Seibo Kitamura. 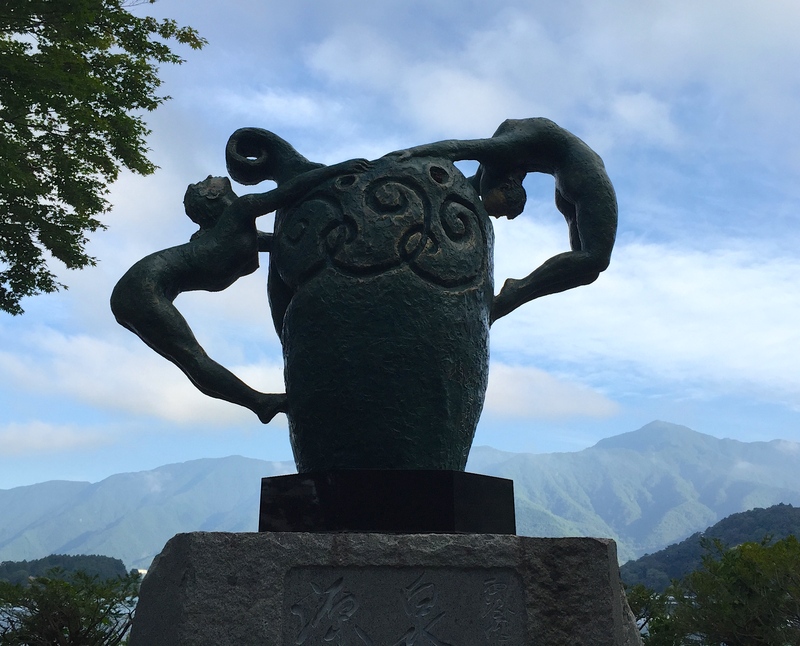 Kitamura visited Kawaguchiko at age of 101 and was deeply moved by magnificence of surrounding mountain scenery as well as the lake itself.This statue is product of the two long and laborious years Kitamura spent to give this feeling of wonder form. The vase portion of the statue represents Lake Kawaguchiko, source of life in all things.As for two female figures dancing around the vase, woman on left represents “ positive” and woman on right represents “ negative”.the eternally varying drama of these two opposites comes together to become one in “source” flowing to on to symbolise the never ending occurrence and renewal of life.